The Political Environment: Walker's 8-year war on Wisconsin's environment: Part 4. More wetlands, big business, $. Walker's 8-year war on Wisconsin's environment: Part 4. More wetlands, big business, $. [Uodated] This 21-part retrospective series I'd promised will run with daily updates, ending prior to the Nov. 6 election. This is Part 4. 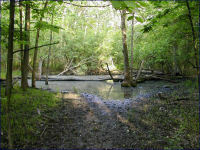 Part 1 dealt with wetlands - - as did Walker for special interests and a campaign donor in his first hours as Governor. Then came the wider consequences which would include a willingness to clear-cut the Penokee Hills regardless of decades of projected wetlands and other water resource losses there as I documented in Part 3 of this series yesterday, for what would have been one the continent's largest open-pit iron mines. And as we'll learn throughout this series, Walker and the wetland-fillers weren't done privatizing and manipulating surface and ground water for insiders - - even campaign contributors - - "Walker carves out wetland exemption for donor" - - and other private interests. More about that in upcoming installments. The Wisconsin Builders Association offers itself a pat on the back and a lesson in State Capitol Politics 101 when telling its members how wetlands' deregulation legislation got drafted. And don't forget that three top [Walker appointed] DNR officials - - Secretary Cathy Stepp, Air and Waste Division director Pat Stevens, and Deputy Secretary Matt Moroney credited below for his leadership, all worked with or for the Wisconsin Builders Association or an affiliate. After several months of speculation and a lot of effort, a wetlands bill draft was sent out to legislators asking for them to sign on as co-authors. The draft is co-authored by Senator Neil Kedzie (R-Elkhorn) and Representative Jeff Mursau (R-Crivitz). The key to this bill passing is to get some minor technical changes in committee and make sure the bill is not “watered down” (no pun intended!) during the process. WBA staff professionals will continue working with members, local staff members and the legislature to pass a strong wetlands bill before the end of the legislative session. Walker subsequently signed the bill in front of a cheering audience at a real estate brokers convention. Here is Part 3 of this series from Wednesday, October 17.